Your Internet Explorer is not compatible with this website. You need to upgrade your browser (IE10 or higher) or switch to Chrome, Firefox or Safari. 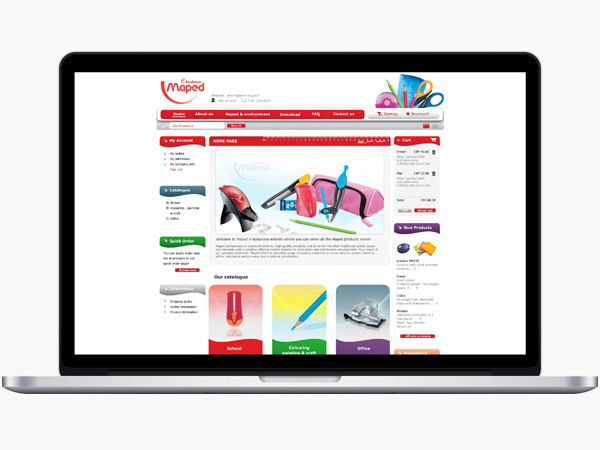 Design and development of e-business Maped China website (e-maped.com) to enable Chinese retailers and international schools to order maped products online. Bilingual website (Chinese and English) with CMS to administrate the products catalogue and main pages + integration within Maped ERP system.